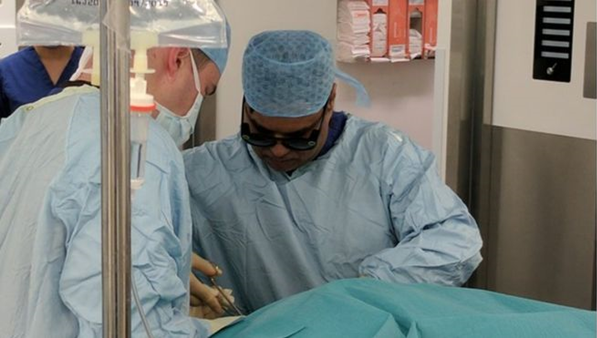 Last year, in a pioneering use of technology in a medical procedure, British surgeon Dr. Shafi Ahmed of Barts Health NHS Trust became the first person to use Google Glass and a 360-degree camera to livestream a real-life operation to viewers worldwide, in a broadcast augmented by virtual reality displays. 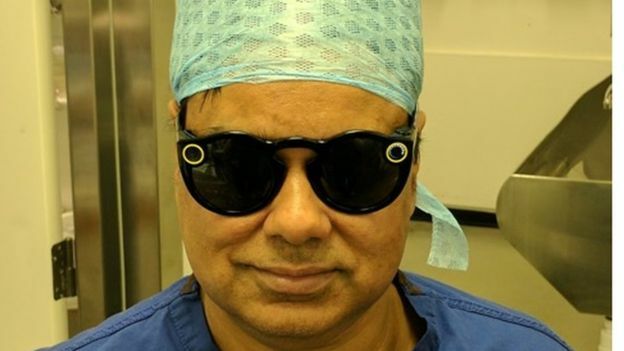 Now, in a clever innovation aimed at bringing education to a wider audience, Dr. Ahmed has taken the process one step further: live-streaming an hour-long operation last month using Snap Spectacles. For Snap Inc., parent company of social media platform Snapchat, Spectacles represented a popular debut on the hardware market in 2016. The camera-equipped sunglasses can take still photographs and record videos of either 10 or 30 seconds' length; continuing the mayfly-esque theme of the company's app service which allows users to send pictures to friends which promptly disappear after only a few seconds. Dr. Ahmed figured out how to overcome the apparent need to drop his scalpel four times a minute to press record by having a colleague press the button for him; and the operation (a routine hernia fix) was reportedly a complete success. Because the Spectacles cannot livestream directly online, footage of the procedure was recorded in 10-second segments which were then uploaded to the internet roughly 30 seconds behind-time. Only parts of the procedure were captured on camera, and the half-minute lag meant editing could take place if things went wrong. To overcome a slight snag with the sunglasses, however - namely, the fact that they're sunglasses - Dr. Ahmed says the tinted lenses will be replaced by clear ones by a specialist company in America, in order to make it slightly easier to see whilst wearing them indoors. Nonetheless, we are reassured that the glasses were tested rigorously before the procedure, to make sure they wouldn't inhibit Dr. Ahmed's ability to successfully complete the procedure. In terms of bringing education to a wider audience and engaging a generation of millennial medical students who, if not communicating daily through social media will surely be engrossed (momentarily, at least) by its innovative use, Dr. Ahmed's Spectacles spectacle should at least be applauded for its ingenuity. Whether the novelty will wear off, continuing the mayfly-ism left in Snap Inc.'s general wake, is soon to be seen. Either way, the exposure is good news for Snap Inc. itself, which will surely be glad to see its first hardware venture being so well-received by users and non-users alike.